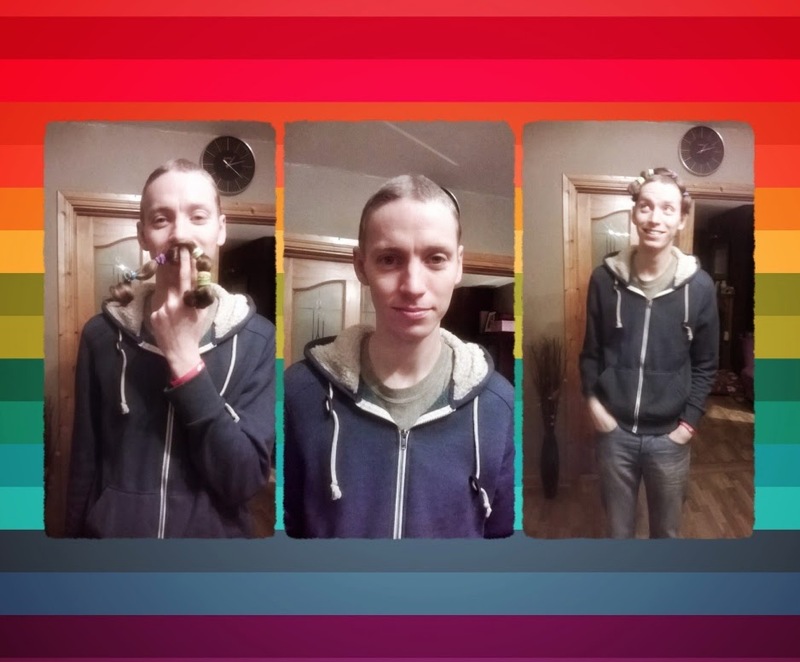 Thanks so much to everyone who attended, and donated to Simon's hair shave event. Thanks to Crooked Canyon and The Bartender for their hospitality and talents, and to Chaplin's hair salon in Dundalk who organised the hair to be sent off to the Rapunzel charity. For anyone who would still like to donate, you can still do so here. pub table quiz, which I heard also went fantastically. 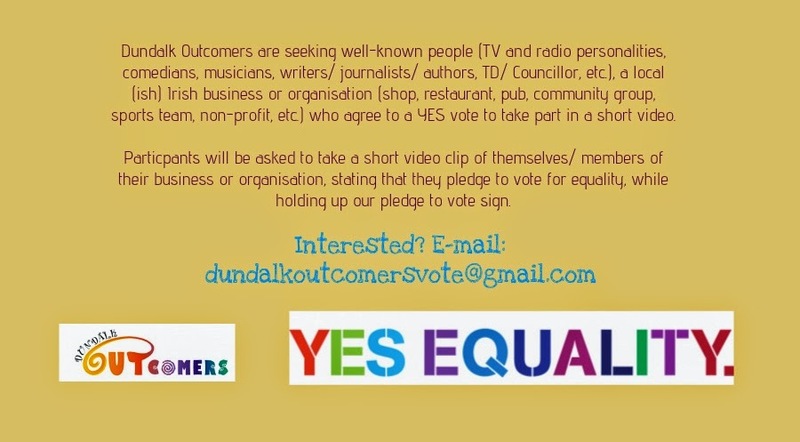 Oh and remember -we are still looking for locals (local-ish, we've extended outside Co. Louth due to interest) who run businesses and organisations, take part in a sports team or club, who are a musician, politician, etc., to pledge to vote in a short marriage equality video. Don't live near by? Check out my previous posts on what you can do to help the cause: This one and this one. 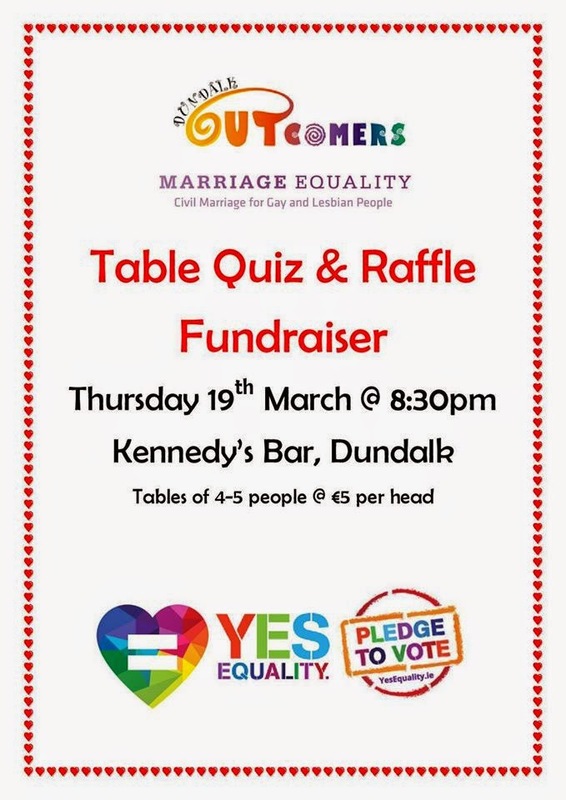 And of course if nothing else -VOTE YES to equality in May. Start discussions and debates with friends, work colleges, relatives... Tell them why you are voting yes, why equal rights for all is so important to you, and ask them to go out and vote with you. -Get active and be passionate about equal rights.